Dr. Alan Arstikaitis and professional health team invites the Memphis, Collierville and Germantown TN community to a Free Community Dinner held at Jim’s Place Grille in Collierville TN Monday at 6:00 PM March 25th, 2019. 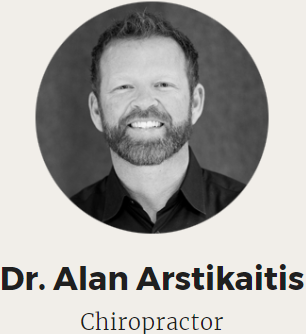 Dr. Alan’s generous offer is an opportunity to not only thank the communities for their loyalty but to also support his team’s mission which is to provide vital information on how to acquire and maintain full healthy lifestyles for individuals and families. The presentation will also include topics on why choosing organic foods is so important to healthy living and guidance on where to buy them. A demonstration of the 12 minute exercise will invite guests to participate. There will also be discussions on how chiropractic care can relieve chronic pain in the body to include neck, shoulders, tennis elbow and upper back pain relief. Relief from migraine headaches, sciatica nerve pain and ear aches in children can be easily achieved with chiropractic care, which is a much healthier alternative than surgery or prescription medications. There will be many testimonials available about the life changing successes clients have experienced.